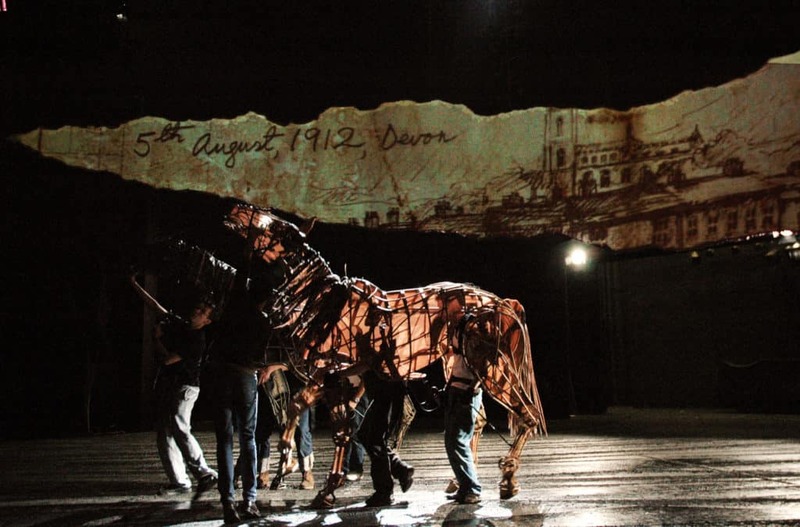 Premiering in 2007 at the National Theatre, War Horse featured projection and video design by 59 Productions. 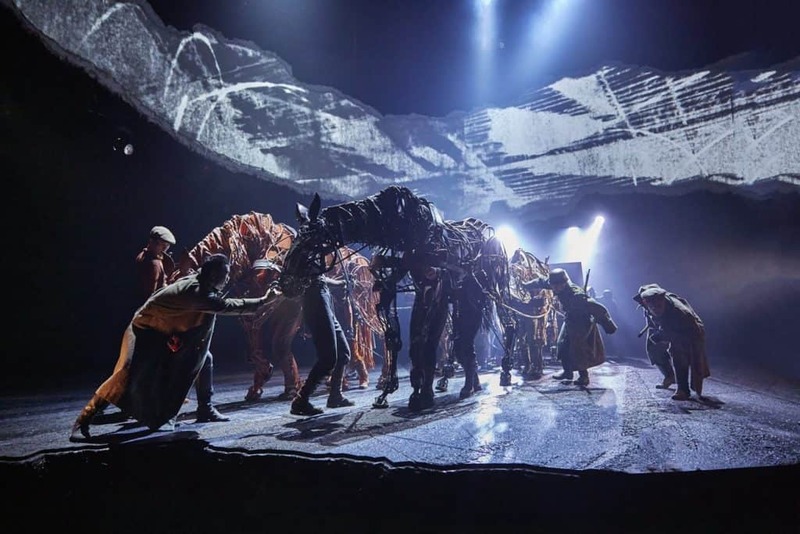 Now, a decade later, War Horse has had 8 record-record breaking years in London’s West End and played in 11 countries around the world to over 7 million people. 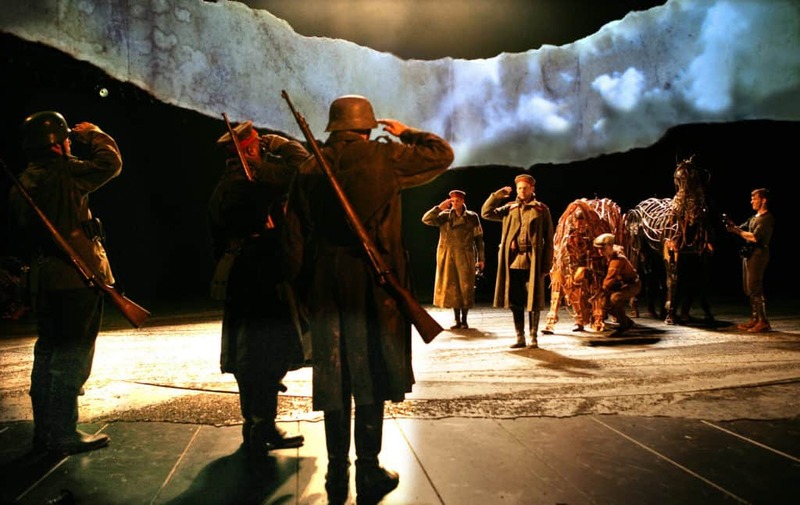 Supporting these theatrical wonders is 59’s projection design, which transports audiences from rural Devon to the depths of war-ravaged France. Drawing on war artists and charcoal sketches of the war, the animations present an expressionistic vision of war, that is powerfully entrenched in the horror, power and textures of the worlds first mechanised war. 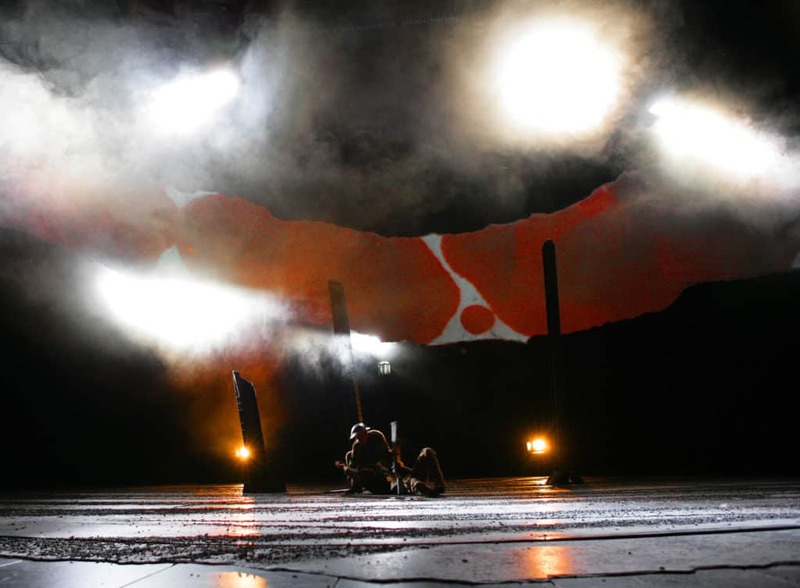 Central to Rae Smith’s set design is a 25 metre wide, irregular projection screen, resembling a torn strip of paper, that forms the focus of a design which is otherwise minimalist and transient. The screen serves a number of purposes, having projected upon it drawings which provide, in turn, literal and psychological landscapes. It is used as a medium to establish location, show the passing of time and to mimic motion. For example, snippets of images move the audience from a Devon farmscape to no man’s land, via a sinking horizon which imitates the movement of a ship across water. There is a pronounced contrast in screen content between the first and second halves. In the first, sepia tones are used to convey much of the subject matter for the pastoral Devon scenes. The second half, by contrast, draws upon the more aggressive and abstract Vorticism used by the war artists, augmented by stark shadow puppetry. This ‘shift in palette’ as was the result of close collaboration between Rae Smith, Paule Constable and the video designers Leo Warner and Mark Grimmer of Fifty Nine Productions Ltd.
Leo and Mark developed the visual language of the screen – which runs throughout the entire show – over a period of several weeks during rehearsals, ensuring the journey from rural idyll to the horror of war was carefully developed alongside the stage action. 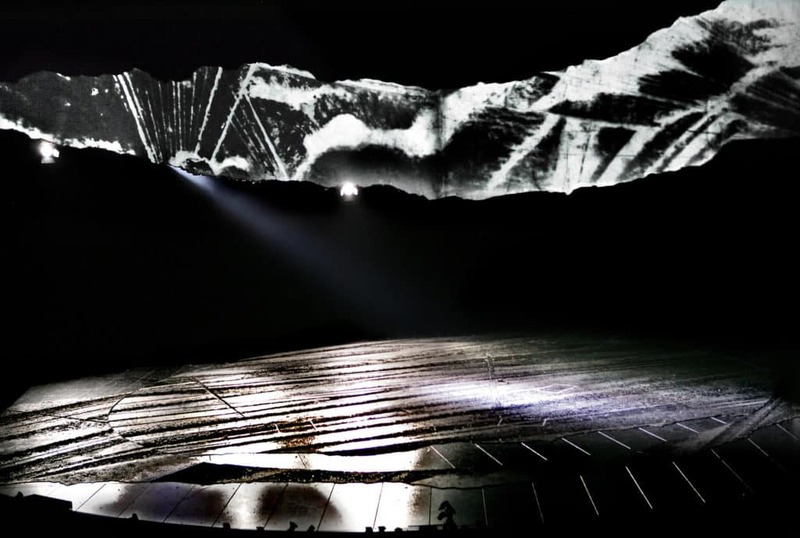 In addition to the archival research and bespoke filming required, Leo and Mark incorporated drawings, executed by Rae herself, which then underwent considerable manipulation, turning Rae’s monochrome drawings into multi-layered images which were graded and treated to create a cohesive whole with the lighting and stage picture. 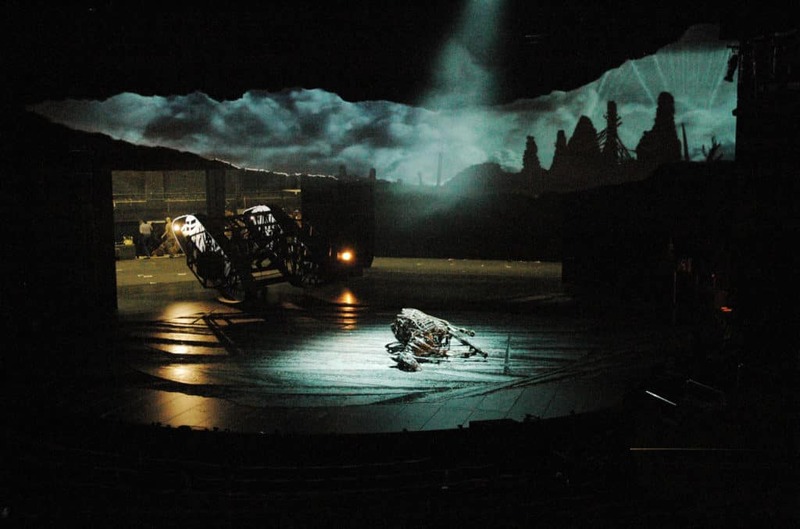 Some of this involved the creation of movement – for example, tracking and panning ‘camera-style’ around images such as the sketch of a galloping horse and rider – and creating special effects like water, blood, smoke and explosions. Textures were also created on the screen, moving from sepia and faded-out paper, through various stages of stained and battered surfaces to the photography in the penultimate scene.